Turning Stone Resort Casino & Vernon Downs Casino & Hotel – Two casinos, two unique experiences! Turning Stone is home to a casino with table games, poker, bingo & slots as well as five golf courses, two spas & over 15 restaurants. Vernon Downs, located less than 10 minutes from Turning Stone, has a restaurant and buffet on site as well as slot machines & harness racing. Munson Williams Proctor Arts Institute – Munson Williams is great for all ages. Interactive activities for children, a permanent collection & rotating exhibits range from Monet to Matisse to century old wedding gowns! Stanley Theater – Broadway shows in Utica! The Stanley Theater hosts Broadway shows and other unique events year-round in downtown Utica. Check out the gorgeous Meyda Tiffany chandelier while you’re there! Saranac Brewery – Taverns, concerts & tours oh my! Take a behind-the-scenes tour of the historic Saranac Brewery. Get a history lesson, learn how the beer is made & sample beers in the tavern after. Don’t miss Saranac Thursday concerts every Thursday throughout the summer! Adirondack Scenic Railroad – Explore the Adirondacks on the historic railroad! Beer and wine tasting trains & other themed rides will bring you into the Adirondacks to see the beautiful views & relax. Erie Canal Cruises – Cruise the Canal in style! Take a ride along the historic Erie Canal on a beautiful passenger boat that will take you through a lock, teach you history & give you beautiful scenery! Utica Zoo & Fort Rickey – Interactive fun for everyone. The Utica Zoo and Fort Rickey Children’s Zoo let’s you get up close and personal with animals. Meet red pandas, watch a show with wolves & rediscover your youth. Brew Central: What’s On Tap – The stories, traditions and tastes behind craft beer, wine, hard cider and spirits in Central New York. 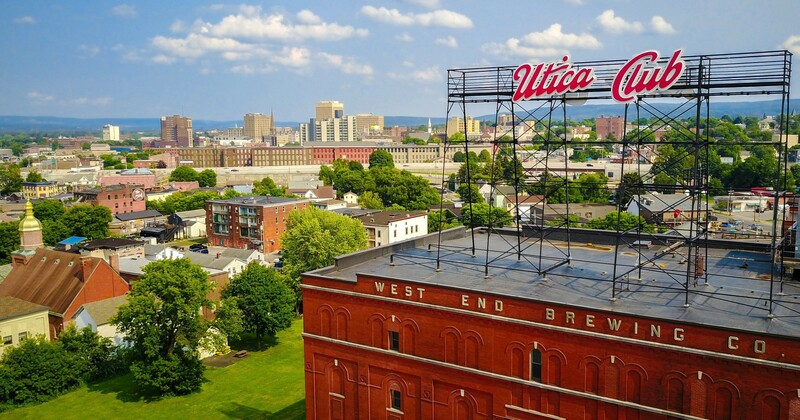 See why CNY is becoming America’s craft beverages destination. Family Discoveries: Child’s Play – Don’t leave the family at home during your conference. Bring the gang with you! Here’s a sample itinerary to keep them busy while you attend to conference business. Haunted History Trail: Do You Believe – Explore the trail to hear Central New York’s bone chilling history and meet ghosts from the past. Stay at a haunted inn, join an investigative team on a ghost hunt, or go on a candlelit tour of a haunted building. CNY Fresh: Get Local – Discover the delicious flavors of Oneida County’s finest foods. With fresh fruits and veggies, unique brews and goodies, fantastic outdoor markets and food-focused festivals, you can get a taste for Central New York with this suggested itinerary.